"The Return" is a remastered reissue of a limited edition LP, originally on Noiseville Records back in 2009. Gary Mundy (Ramleh, Breathless, S.P.I.T.E., Toll, Broken Flag) revisits the album, which features two previously unreleased bonus cuts: "The Storm" and "The Resounding". It has also been digitally remastered by Mundy to render the music at once powerful and dynamic in a setting where volume also plays a significant part of the sound. 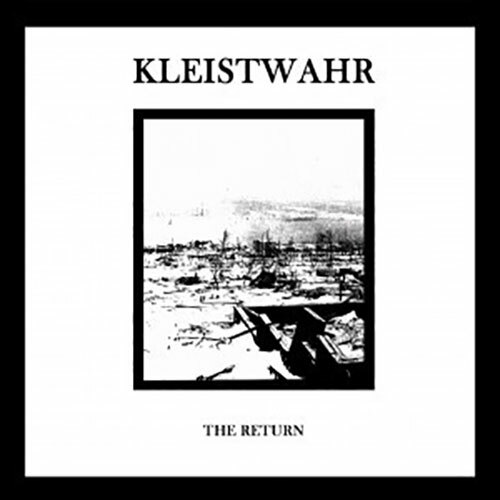 As with Ramleh, the music of Kleistwahr stems from a place both angry and anguished. "The Return" witnesses electronic music once more teased and reshaped into something highly original by one of the genre’s master craftsmen. Listen to it as loud as your ears can take! Broken Flag -style digisleeve. Limited edition of 300 copies.